There are many things a Cosplayer holds dear: their first costume, their first convention, etc. Though no matter how many costumes you have or how popular you get, there is always one thing that Cosplayers remember more than anything else: the person who showed them it’s possible. If you’ve ever worked with EVA foam or armor building, then there’s a pretty good chance you already know this month’s Cosplayer. Meet Stefano of The Heroes Workshop, also known as Stealth. 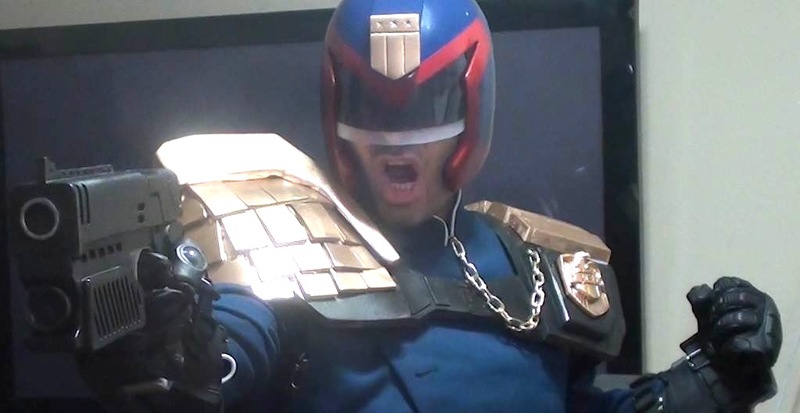 Whether through the message boards of the Replica Prop Forum or his old Hero Tutorials on Youtube, Stefano has helped countless people get into Cosplay – even yours truly. So let’s sit down with this teacher extraordinaire and see how he started, what he’s been up to and what’s coming next. The story of how Stefano started cosplaying is actually quite interesting and perfectly embodies the type of man he is. You see, Stefano actually used to be a Break Dancer; but during a performance in 2008 – on his birthday no less – he seriously injured his knee. “I couldn’t even drive home”, he recounts. “It was that bad. My friend drove my car home and I eventually popped my knee back in place myself. . . yup.“ After a trip to the doctors, Stefano learned that he had to stay off the leg for a few months. What was a dancer to do? Simple, make the best out of a difficult situation. One day on Youtube – because where else do you go to kill time – Stefano saw some Cosplayers in their costumes and in that moment everything seemed possible. He remembered how as a kid, he always tried to plan out a Batman Forever Robin costume. “I was a kid. I’d never be able to recreate it but in my mind, I really thought I could.” Cosplay’s all about getting in touch with your inner child and making some dreams a reality. Stefano always had the will; but now he could focus on finding a way. Now that he had the time, Stefano started work on a Halo 3 Master Chief costume. It was a lot of trial and error to be sure; but in the end it actually turned out pretty good. It was during this time that Stefano not only began building costumes, but also started to get the inspiration to do something more. At the time, there weren’t really any guides on how to go about making your own costumes. It was in this “vacuum of knowledge and people sharing knowledge” that Stefano decided to start The Hero Tutorials. 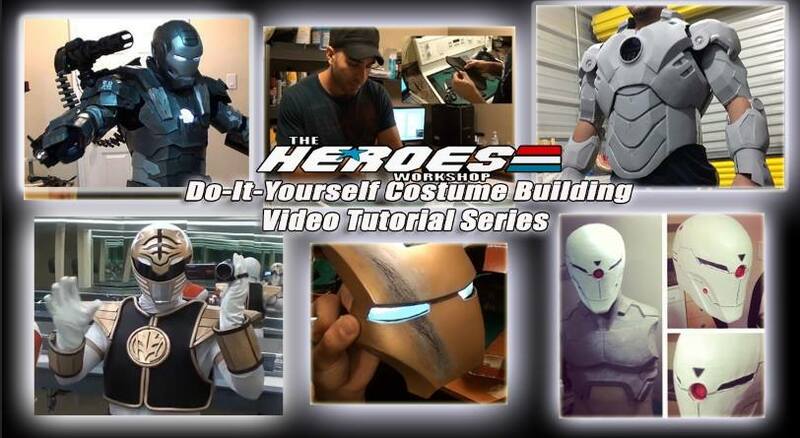 The Hero Tutorials were a bunch of tutorials – duh – that were not only incredibly easy to understand, but also used all the different techniques and materials Stefano had personally used to make his own stuff. Many have tried to copy this format; but very few have been able to present it in such an easy, fun and approachable manner. Since then, Stefano has gained even more experience by not only taking private commissions, but also doing some work on upcoming films and music videos. He couldn’t go into detail about any of these projects and blockbusters due to contracts; but either way it’s all incredibly exciting. With all of these projects in motion, Stefano’s had little time to work on own costumes, but once finished, he’s confident that his RoboCop will be his favorite yet. Though it’s his Heroes Workshop DVDs that will be his greatest accomplishment not just personally, but also for the Cosplay community at large. The project was on Kickstarter for a month – as you might know from my previous article on it – and in that time is raised well over $20,000 thanks to all of his fans and those he’s helped over the years. With this, he’ll teach people how to build costumes from templates using EVA foam, cardboard and tons of other techniques he’s learned. In fact, he’ll even show you how you can make your own templates for costumes – in case you want to attempt something no one’s done before. So we’ve seen in previous articles why you should get into Cosplay; but why is it so much more rewarding to make your own costume? According to Stefano, problem solving, confidence and overcoming shyness are just some of the benefits. Again, in the end Stefano might not be known for his own personal costumes or scheduled photoshoots as some other Csplayers; but he’s given so much to the community that it doesn’t matter. Between his videos and how-to posts, Stefano has helped many Cosplayers get started and get even better. So if this man has helped you in some way, don’t be afraid to let him know. He always loves to hear from people and how they’ve grown. Though there are some Thank You’s that go above and beyond the call of duty. So once again, thank you Stefano/Stealth/Heroes Workshop for all that you’ve done! If you didn’t get to back his Kickstarter; but would still like a DVD of his Heroes Workshop Tutorials, they’ll be available for purchase after the first batch of DVDs gets released early next year. 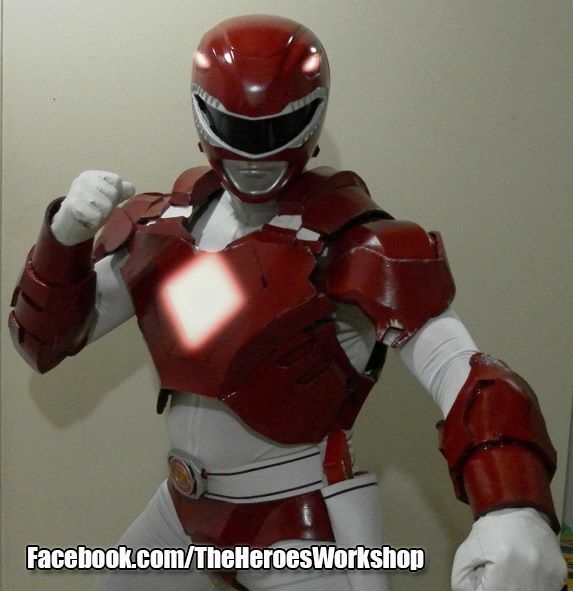 So until then, stay tuned and be sure to follow The Heroes Workshops on Facebook for updates and awesome side projects. And in case you were wonder, Stefano’s leg did eventually recover; and sometimes he gets to combine his Cosplay and Break Dancing skills to create something truly unique. So I leave you with the first and last time you will ever see Ironman Break Dancing.